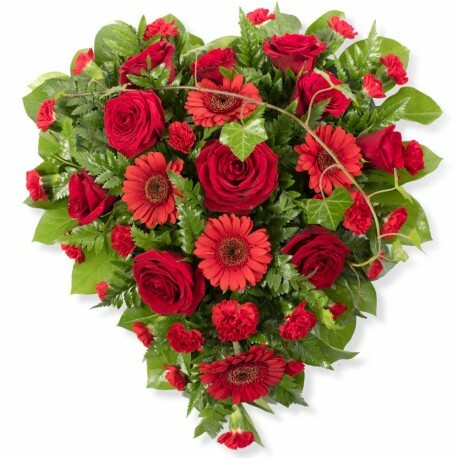 A solid heart funeral tribute in loose style using choice flowers. Alternative colours available. 14"€80/ 16" €100/ 18" €125. At Flowercraft we are delighted to present this product available for flower delivery in Enniscorthy and surrounding areas.